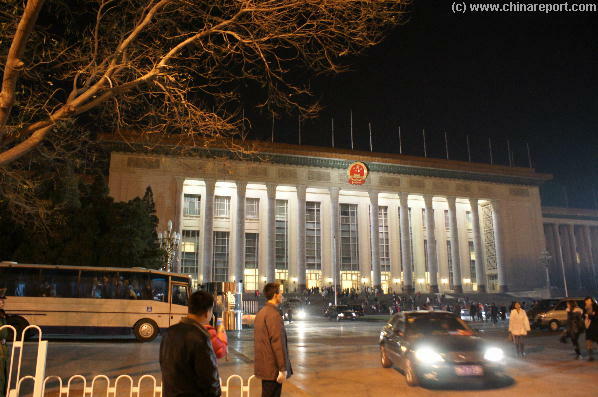 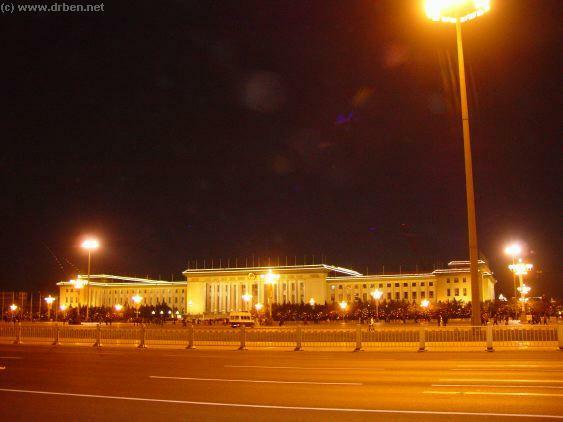 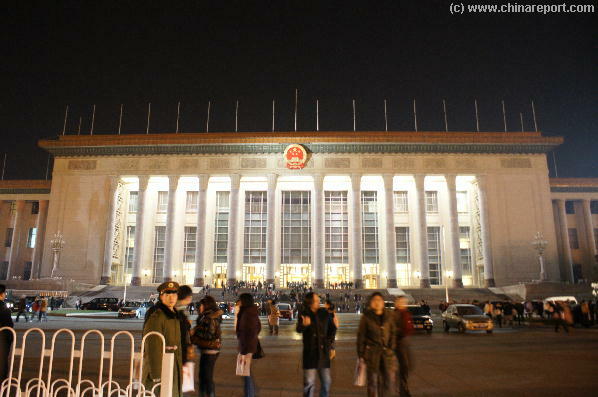 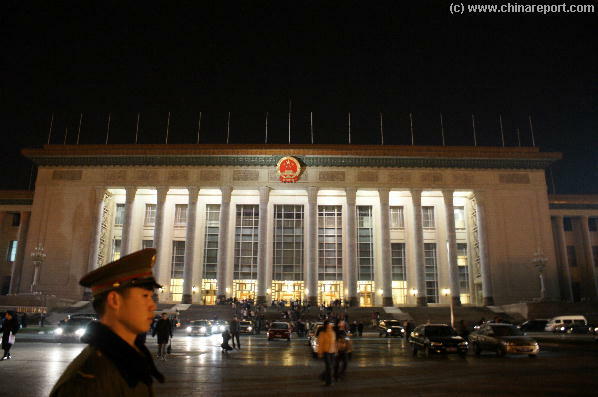 An Evening Impression Photo of an illuminated Great Hall of the Peoples, the Chinese Peoples Democratic Parliament at TiananMen Square's eastern flank. 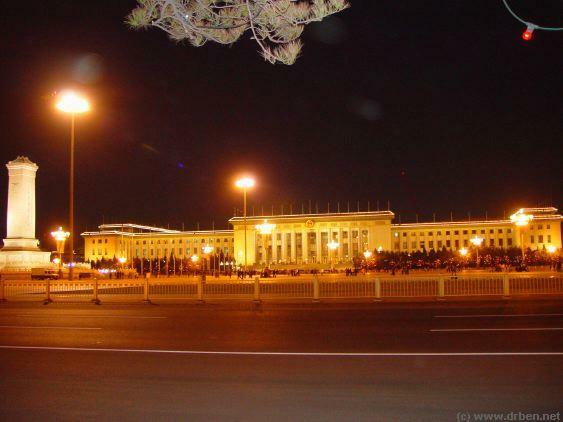 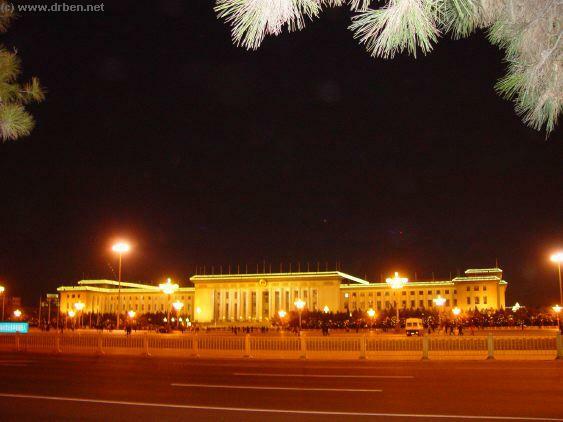 The Great Hall of the Peoples with the Monument of the Heroes of the Revolution in the Forefront. 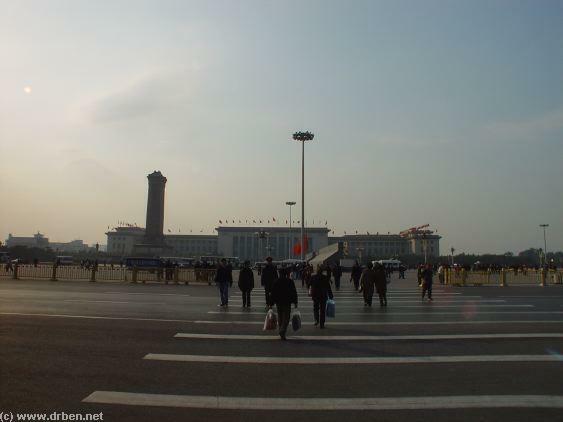 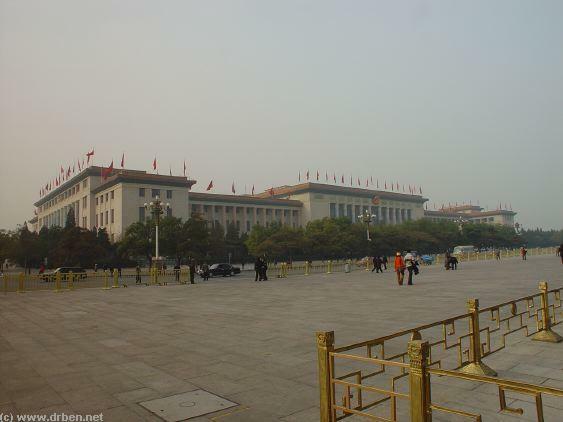 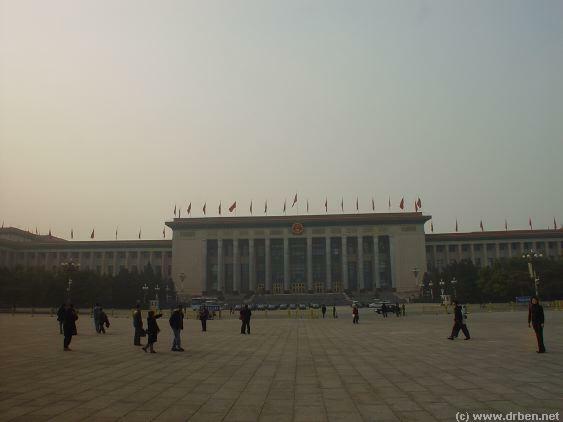 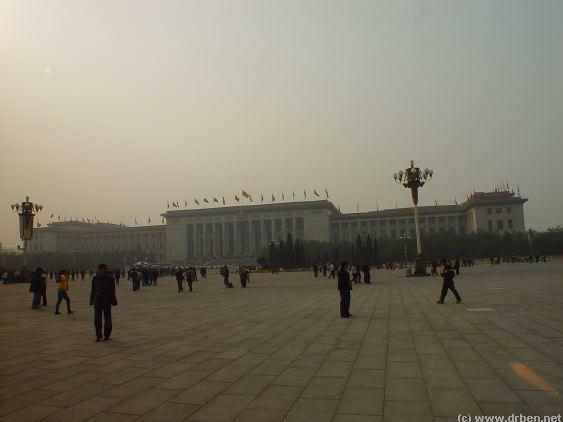 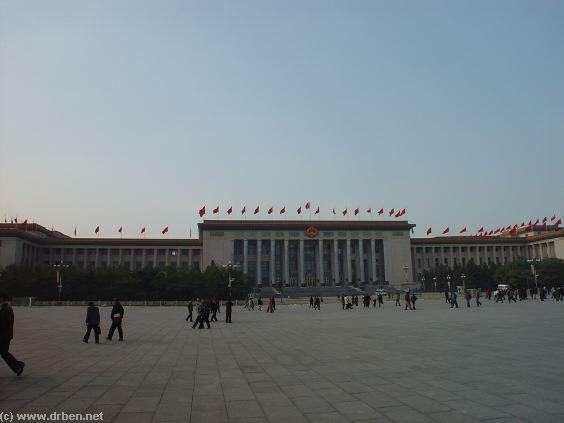 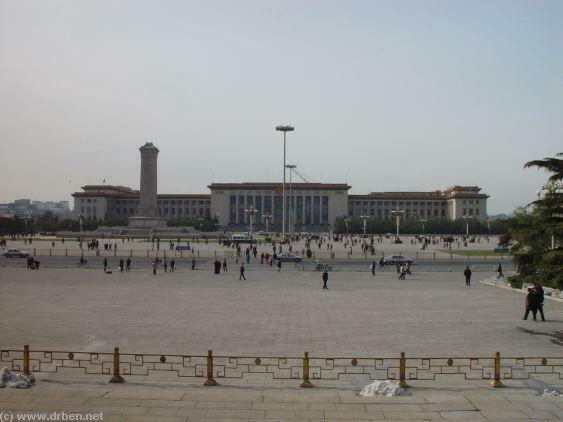 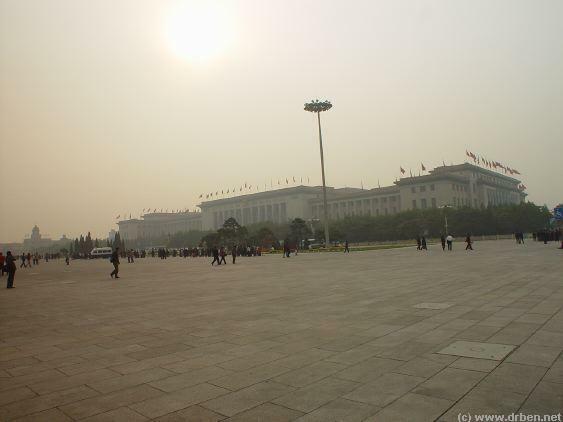 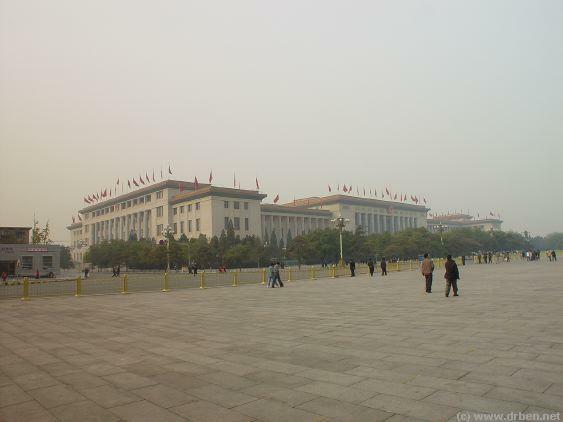 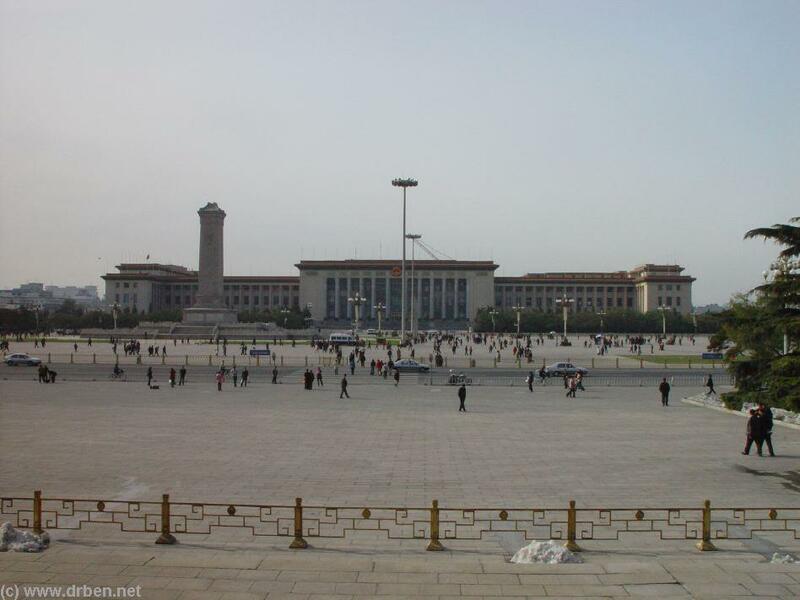 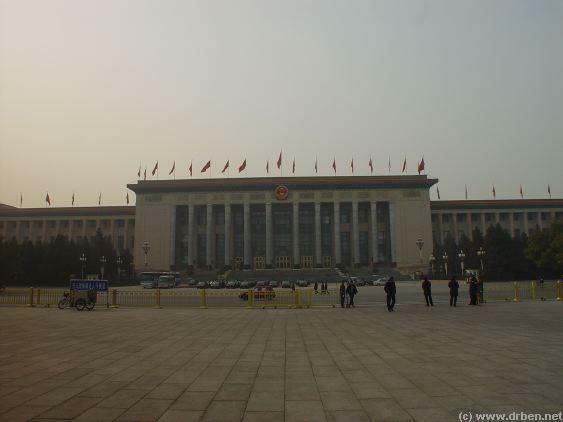 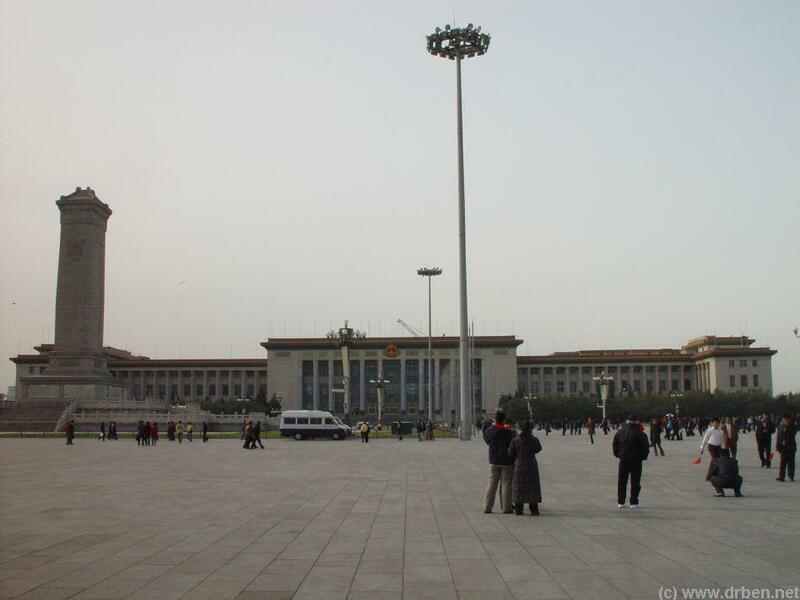 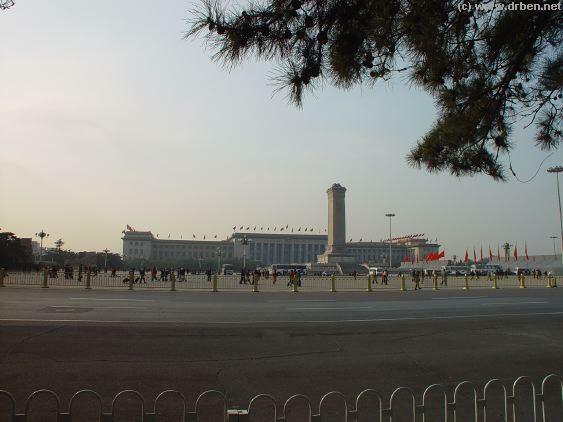 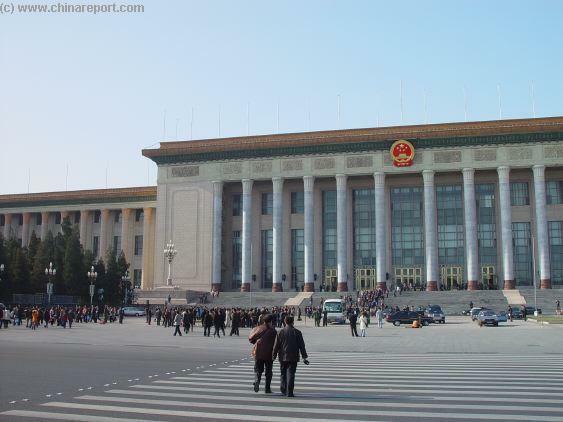 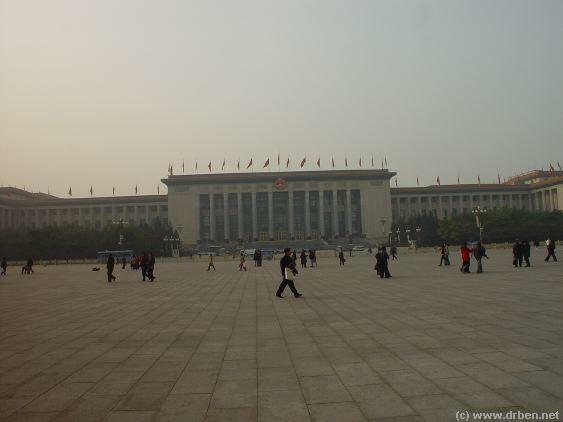 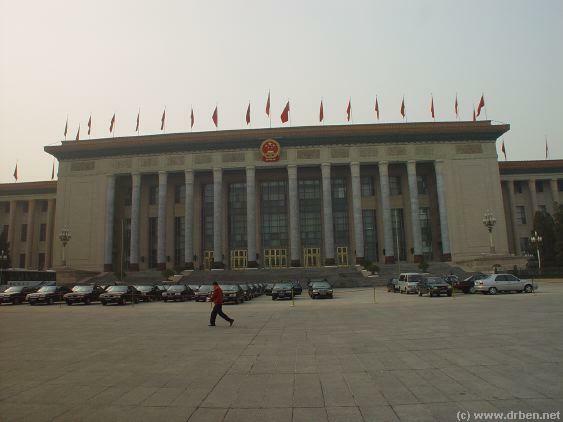 The Great Hall of the Peoples seen from across TiananMen Square.